It doesn't matter whether you are sad, bored, down, depressed, doing all right or quite happy - the system in this book will help you become a lot happier. 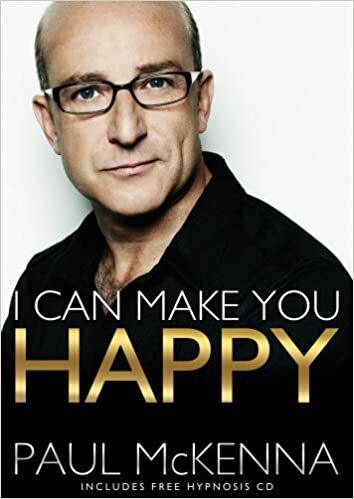 Paul McKenna has spent the last 25 years studying and developing ways to make people happier and has created a system that has an immediate, extraordinary and measurable effect upon people's happiness levels. You don't need faith in this system. Happiness is not a matter of luck or belief, it is created by particular ways of thinking and acting. Use this book, take control of your life and increase your happiness today! I have been a fan of Paul Mckenna for a fair few years and bought a few of his tapes. Yes tapes. I am that old. With the inception of the Internet things changed and moved on since then. I can make you happy isnt a miracle cure you have to work at it and work hard. You have to help yourself. The book is accompanied by a hypnosis file which can be downloaded from a link within the book. Now I will admit that some of exercises are a bit wacky and its a long process so I haven't tried everything, but the techniques I have tried are simple and surprisingly effective. A interesting book that will make you look at yourself and if you follow Paul Mckennas instructions, will make you happy.